Taking full advantage of the high-speed Thunderbolt™ bus and ADAT Optical I/O, the PreSonus® Quantum audio interface delivers up to 26 inputs and 32 outputs, with extremely low latency. Boasting superb audio quality; 24-bit, 192 kHz recording and playback; recallable XMAX microphone preamps; and the ability to expand your system as your needs grow, it’s a great choice for a wide variety of professional and semi-pro producers and electronic musicians. Every design decision during Quantum’s engineering was made with one goal in mind: speed. 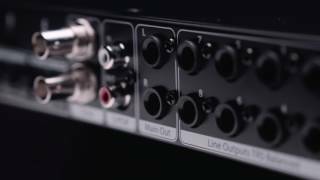 Quantum sports high-speed Thunderbolt connectivity and a no-frills, direct-to-DAW architecture, with no DSP. The result is our leanest, fastest, lowest-latency interface to date. Learn more about Quantum speed. The Quantum-series proprietary Thunderbolt driver was written from the ground up to deliver ultra-low-latency performance while maximizing efficiency. By reducing the roundtrip latency to below 1 ms*, you can easily monitor performances—including plug-in processing—through your DAW with no performance-killing latency. DAW monitoring also allows you to manage your session and your musicians’ monitor mixes from a single window. Even at higher buffer sizes, Quantum-series interfaces deliver consistent low-latency performance. The Quantum audio interface offers two combo mic/line/instrument inputs and six combo mic/line inputs, each with a digitally controlled XMAX preamp and individual +48V phantom power. You also get two ¼-inch TRS main outputs, eight ¼-inch TRS aux outputs, and two independent headphone outs with dedicated volume controls. But that’s just the start. With ADAT Optical I/O and S/PDIF stereo digital I/O, you can have up to 18 digital inputs and outputs. And if you need even more I/O channels, you can stack up to four Quantum interfaces via Thunderbolt to create a monster system with up to 96 in and out. BNC word clock I/O ensures your Quantum and other digital audio devices operate in tight sync. And of course you get MIDI I/O, too. Learn more about how the Quantum can grow with your needs. The Quantum’s eight analog inputs, ten line-level analog outputs, two stereo headphone outputs, and stereo S/PDIF digital I/O might be all you need today. But your studio is likely to grow in time, and so can your Quantum recording system. Its dual ADAT Optical I/O provides up to 16 more channels of digital I/O at up to 48 kHz (up to 8 channels at 96 kHz). The Quantum’s ADAT I/O lets you add any ADAT-compatible A/D/A converter but we highly recommend the PreSonus DigiMax DP88 preamp/converter, which seamlessly extends the analog I/O on the Quantum with eight digitally-controlled XMAX preamps, and word clock I/O. The DP88’s mic preamps are fully remote-controllable from UC Surface, Studio One®, and Studio One Remote when connected via ADAT Lightpipe to the Quantum so that they naturally extend your analog inputs both sonically and functionally. 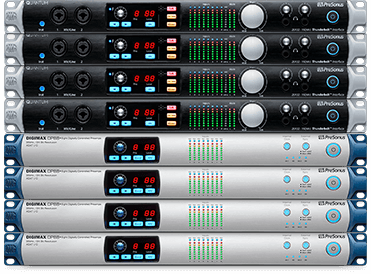 If your studio grows even more, you can stack up to four Quantum interfaces via Thunderbolt. This enables you to create a monster system with up to 96 in and out—more than enough to cover almost any studio’s recording needs. Audiophile-grade digital converters, low-jitter clocking, and recallable preamps add up to a superior recording and listening experience. The Quantum audio interface operates at up to 192 kHz for ultra-high-definition mixing and recording. High-quality converters on every input and output provide 120 dB of dynamic range to capture complex musical harmonics smoothly and naturally with no audible distortion. And our recallable XMAX Class A analog microphone preamps deliver incredibly high headroom, deep lows, smooth highs, and a rich overall sound so you’ll hear every breath, transient, and detail in your recordings. Learn more about recallable XMAX preamps. At PreSonus, we know that the microphone preamplifier is a key component in the sonic quality of a recording. The Quantum audio interface includes eight custom-design, high-voltage, Class A XMAX preamps with discrete components for accuracy and transparency. The Quantum’s XMAX preamps offer another advantage: They are recallable. In 1995, PreSonus patented digital control over analog circuits with our first studio product. Building on this legacy, we created a separate digital volume-control circuit ahead of our analog XMAX preamp design, providing the convenience of digital recall without sacrificing fidelity. The preamps can be controlled from the unit’s front panel, from UC Surface control software, from Studio One’s mixer, from Studio One Remote, and via MIDI in Pro Tools, Logic, or Live so you can save the settings with your recordings. With its pro features and abundant I/O, the Quantum audio interface fits into any recording and production environment. You get two main and eight auxiliary balanced line-level outputs, as well as Mute/Dim and Mono controls. The onboard talkback mic can be routed to any mix, and you can listen to any mix from either of two independent headphone amps. All 10 analog outputs are DC coupled so they can provide control voltage to external analog equipment. Add that to Quantum’s expandability, flexible software suite, blazing speed, and superb sound quality, and you have a recording system that will be the heart of your dream studio for years to come. 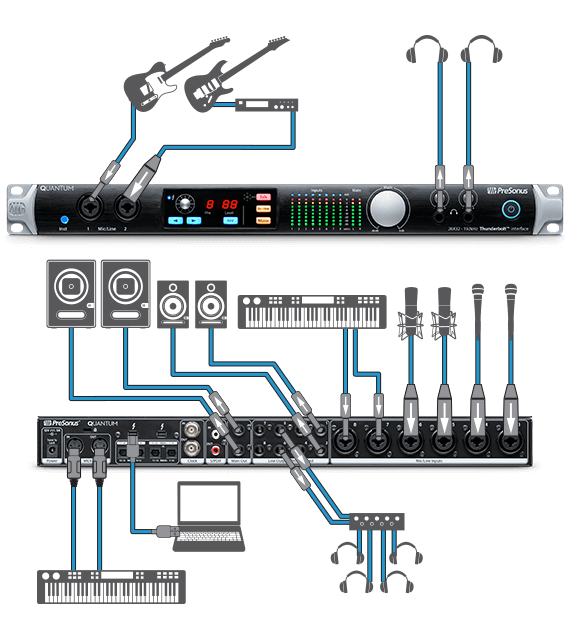 With the Quantum, your audio interface is an integrated extension of your recording environment. The perfect companion for any recording software, the Quantum comes equipped with Studio One Artist to provide you with a complete recording solution. Launch Studio One®, and you’ll find full preamp control integrated into your recording environment. 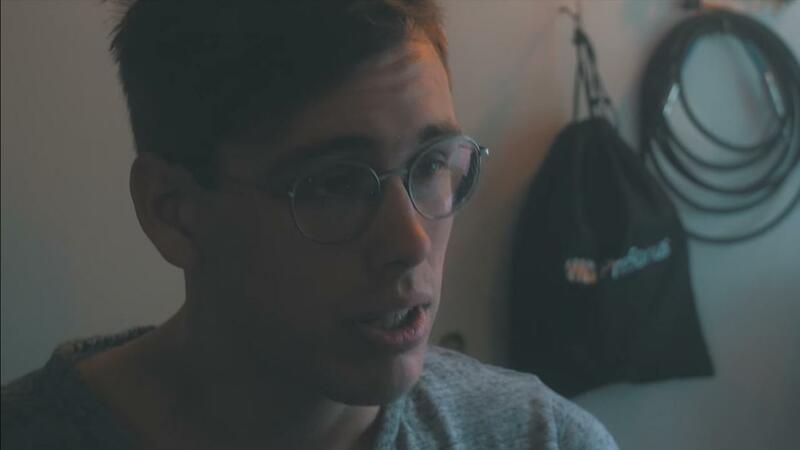 Need to track away from your computer? Launch Studio One Remote on your iPad® or Android™ tablet. 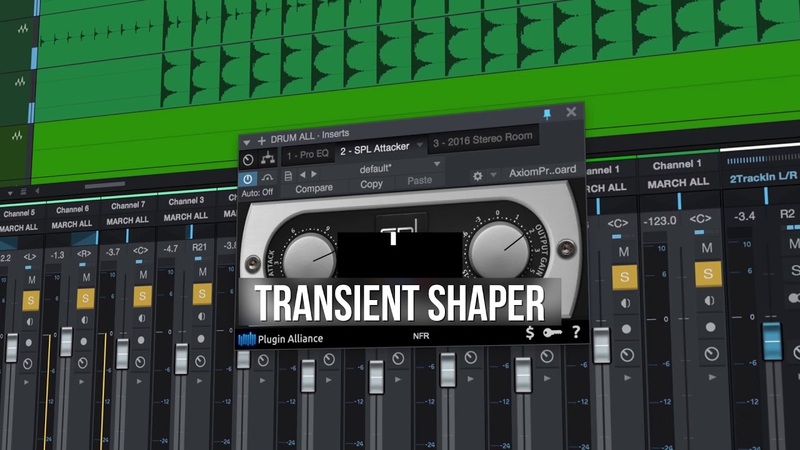 PreSonus has given DSP the boot to keep the processing path as slippery as an eel. They've achieved low-latency performance that, with the exception of PCIe cards, is currently unrivaled by any interface I know of. We quickly launched a previous session that had been problematic for two other USB and Firewire interfaces. Not only did that session run flawlessly using the Quantum, we added another 50 tracks and put them into record with no problem whatsoever!